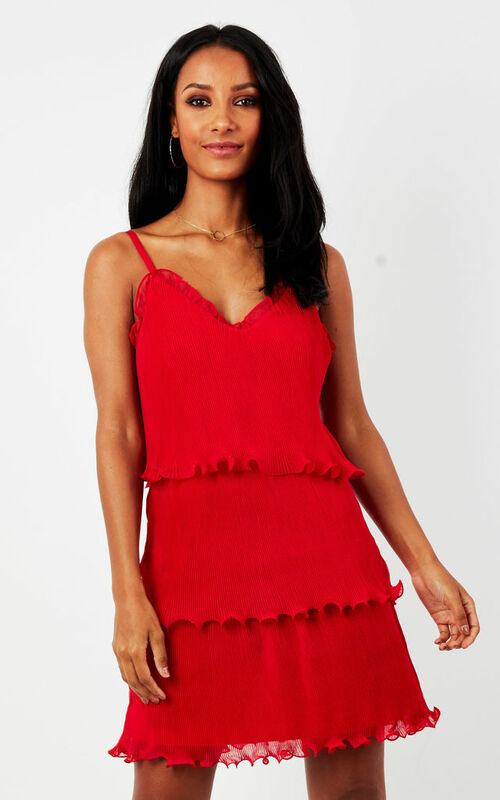 Get ready to fall in love with this red hot mini dress! Featuring subtle ruffle detail and elegant layers for a touch of feminine charm, you're sure to brighten any room wherever you wear it. Just add heels and some red lippy and you are night out ready.